Kids and adults alike love trains. There is just something magical about a train decorated for the holidays! 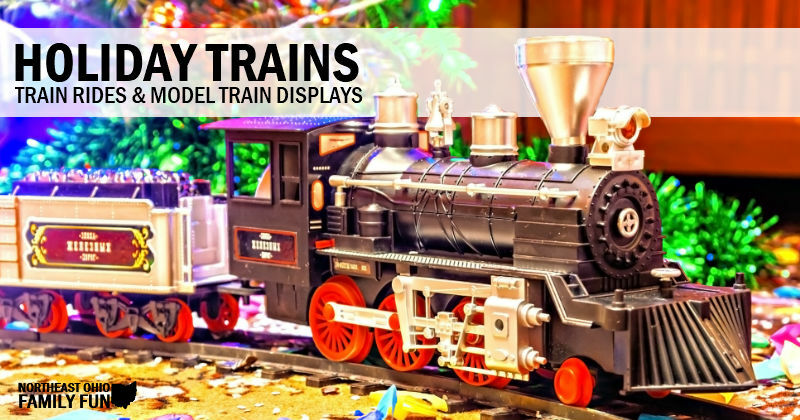 Whether you are a model train lover and want to see the trains moving along through an elaborate Christmas Village or you want to take a ride yourself this list of places to see Holiday Trains is for you! 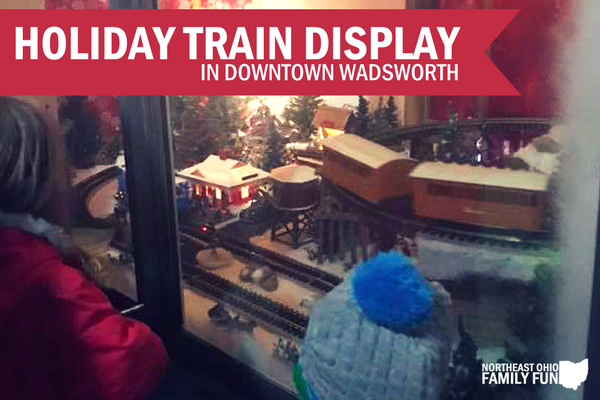 Know of a great train display or place to ride on a train that we've missed? Submit the details here and we will add it. Thanks for helping us all make memories this holiday season! While we do our best to offer accurate information, please always call ahead to double check with these venues and organizations before visiting. Cost: Tickets for children and adults are $3.50. Children under 6 months are free with paying adult. Cost: $42 per person for balcony seating, $48 per person for coach seating, and $70 per person for First Class seating. Private compartments (seats up to five) are $395. Want more holiday fun? Check out our Holiday Fun Guide with 150+ holiday things to do in Northeast Ohio.